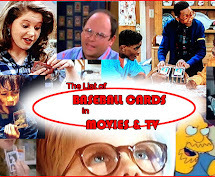 Baseball Card Breakdown: Episode 3: I Love the 80s breaking 2014 Archives continues! Episode 3: I Love the 80s breaking 2014 Archives continues! We last left our hero Luke Skywalker narrowly escaping from Dagobah with the mysterious energy pod. Before he sets off to find Obi-Wan-- the only person in the galaxy whom Luke believes could shed light on the nature of the pod-- he decides it will be safest somewhere the Empire would never look: in the hands of babies. 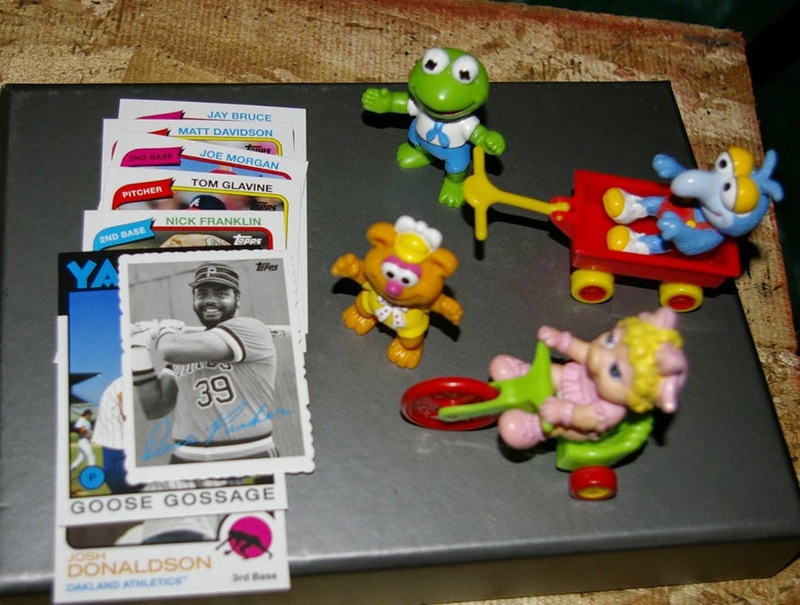 Muppet Babies, specifically. Luke tries to emphasize the great power the of this energy source, but the babies don't completely get it. Luke reluctantly leaves the pod in the care of the Muppet Babies and heads off. Kermie suggests going on an adventure in a haunted house. Against their better judgement, the rest of the gang goes along with it. It's not long after they enter the spooky abandoned mansion that they encounter a g.. g.. g.. GHOST!! Slimer yanks open an energy packet against them. 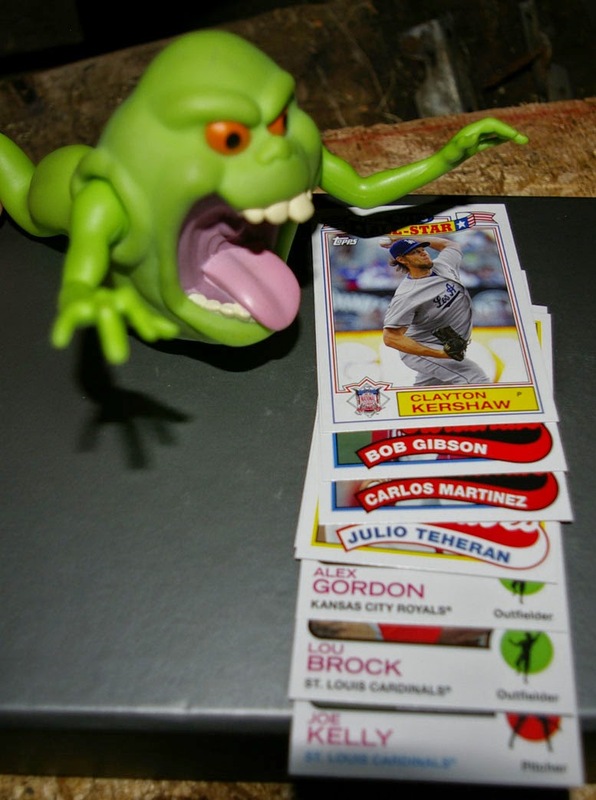 A Kershaw All-Star insert packs a strong attack. 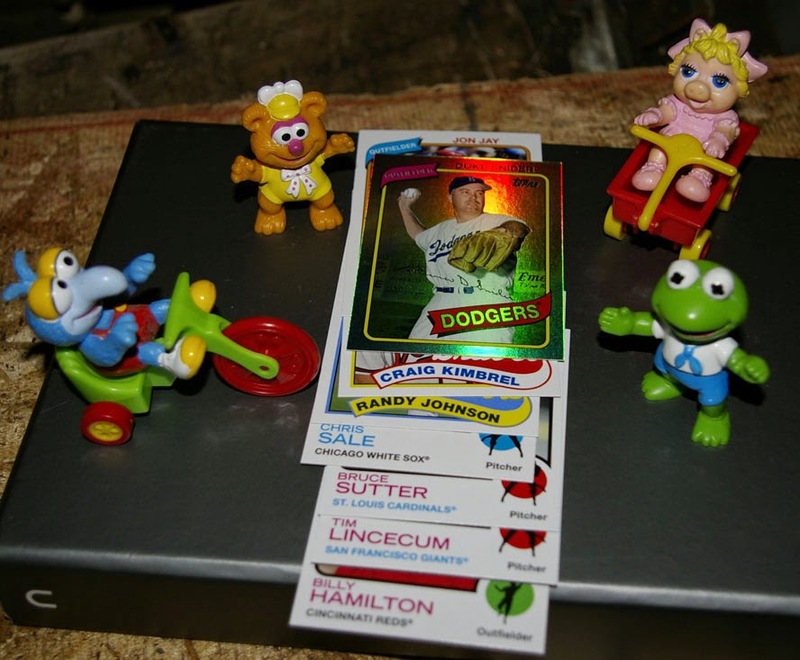 But the Muppet Babies return with a packet of their own. 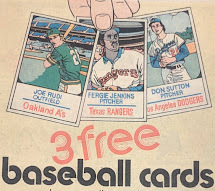 The Dodger duel is won handedly thanks to a /99 refracting Duke and Billy Hamilton SP. A visibly shaken Gonzo suggests the group get the hell out of the haunted house. The rest concur. But just as Fozzie reaches to turn the doorknob to exit, a demonic skeleton jumps out at them! 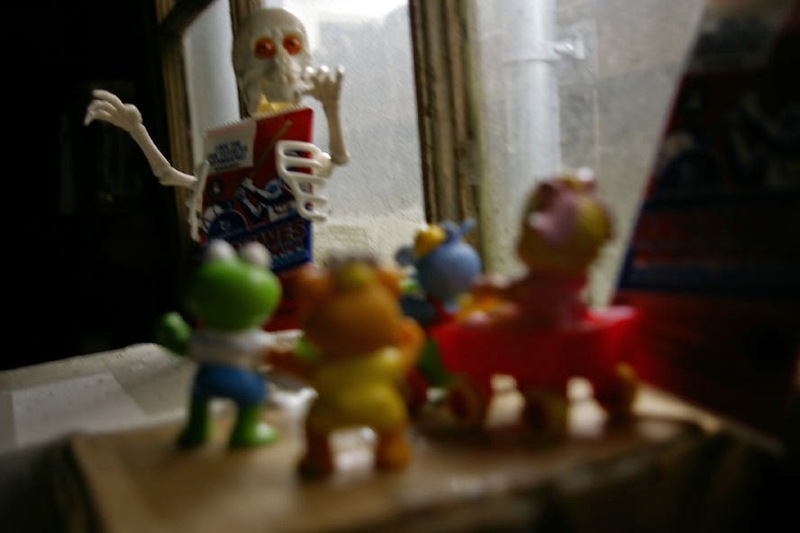 The skeleton grabs a packet and lunges toward them with it. 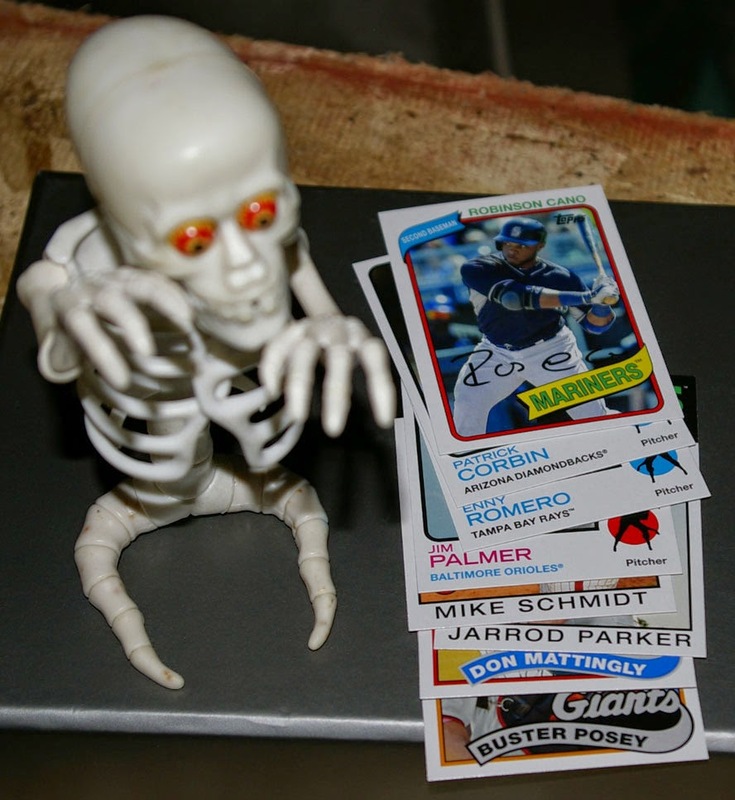 His packet produces a Cano SP but the Muppet Babies don't panic. Piggy rips open an energy packet to defend them against the evil skeleton. A Cobra deckle decks the skeleton with a venomous punch, as the babies grab the pod and scram. Frightened by two close calls, they decide the pod would be safer with someone more worldly than themselves. Scrooge McDuck is anxious to help out and offers to protect the pod. But the greedy sumbitch he is, Scrooge harvests the remaining packets from the pod and adds them to his treasure pit. "Like taking candy from a baby," Scrooge chuckles to himself. "Not so fast, Duck!," a terrifying voice suddenly bellows. "I've heard about your recent acquisitions and I've come to take that which I desire." 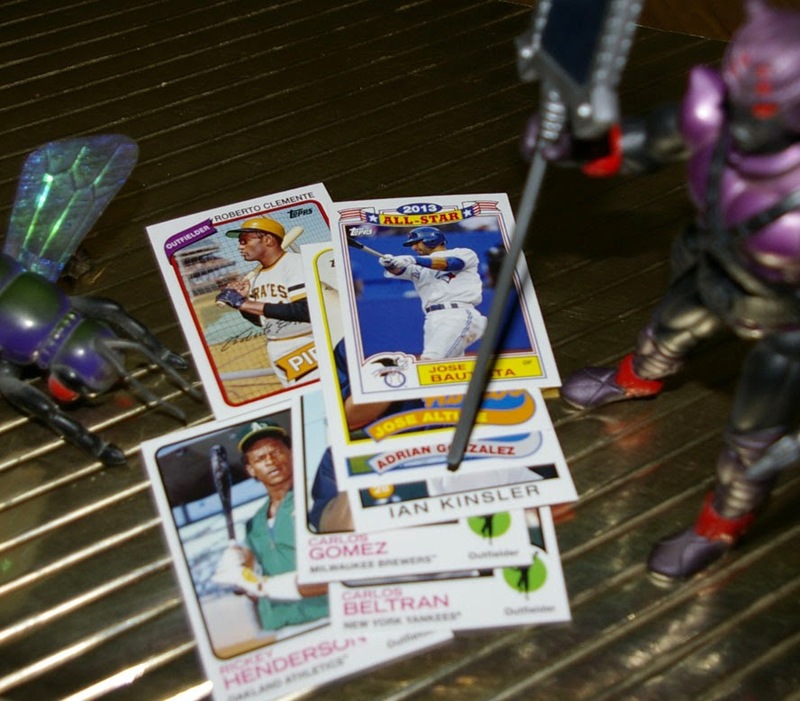 General Spidrax, leader of the evil Sectaurs reveals himself, as his flying creature companion swoops in and opens a packet. 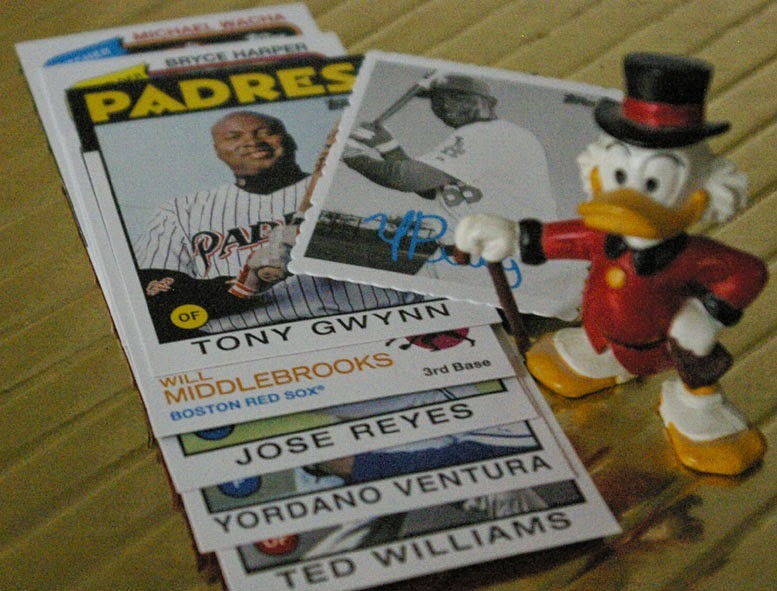 Boasting a Jose Bautista All-Star and base cards of Clemente and Rickey, the attack knocks Scrooge on his exposed bottom. He shakes his head vigorously to regain his senses as he gets up, then grabs a packet to return fire. A powerful array of allies led by a Puig deckle are just enough to emerge victorious. But it was too close for comfort, and Scrooge decides these packets aren't worth the danger that follows them. He decides to cash in and collect the bounty offered by Jabba the Hutt. Can't wait to see who Jabba fights... and what Jabba pulls. I'm just shocked that Luke Skywalker called in the Muppet Babies instead of 2 Live Crew. was that a visionary toy?!? Yeah, the staff thing with a hologram on it I believe is a Visionary thing. I had 2 or 3 of those toys when I was a kid, but that staff is all I seem to have hung onto over the years. (The figure holding it is a Sectaurs toy.. unrelated... kind of a He-Man meets bugs concept that I liked as a kid.. even had the big castle playset thing!) Not sure you can tell from the pic, but the hologram switches from a horse to an owl.. looks pretty cool! I was going to say, was that a Sectaur toy holding a Visionaries staff. 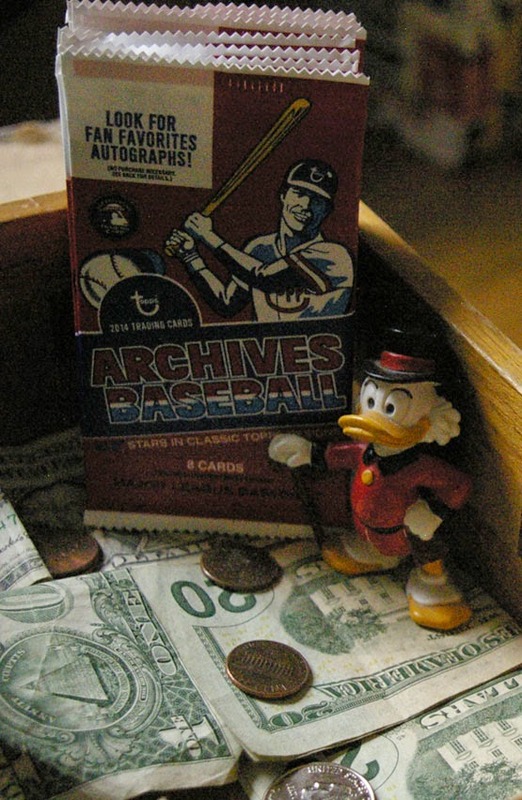 Love the Scrooge McDuck angle! Great stuff indeed!